And we’re not talking console ports either. Mobile gaming has come a long way. Over the past few years we've gone from simple distractions like Snake, Words With Friends and Doodle Jump to full-on narrative experiences crafted specifically for Android and iOS devices. What's more, at least a few traditional console game developers have shifted entirely to mobile at this point, and, in a bit of a reversal, they've ported their games to consoles. By 2012, game-design toolsets like Unity and Unreal made a charming indie designed for mobile devices indistinguishable from one you'd play on a PlayStation or Xbox. As such, for the purposes of this list, we're focusing on games that have been released within the past five years. While it's impressive that Rockstar Games fit Grand Theft Auto: San Andreas onto mobile phones, you'll need a gamepad to get the best experience. There are plenty of those available, sure, but chances are you won't have one on you while you're waiting in line at the grocery store. This list serves to champion the best mobile-native games that don't require any additional hardware or accessories. Everything about Alto's Adventure is designed to help you relax. This sidescrolling snowboarding game takes a frantic mobile genre (endless runners) and slows the pace way down. Momentum from the first hill carries you forward, of course, but it never feels like you're running a race. Instead, all you need to focus on are grinding rails, freeing llamas and busting sweet tricks over precipitous gaps. No two sessions feel quite the same either, thanks to ever-shifting goals and randomly generated slopes. It's absolutely gorgeous too, and unlocking the diverse roster of characters -- each with its own proficiencies -- makes repeat trips down the mountain even more addictive. "Slow paced, no pressure, and a lot of things to do that will wait for you." 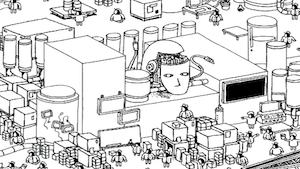 That's how Hidden Folks designer Adriaan de Jongh describes his latest game. Basically, it's a cross between an adult coloring book and Where's Waldo? wherein you explore the black-and-white line drawing in front of you however you see fit. Tapping on a tent might reveal a canoodling couple, while doing the same on some seeds in the farm scene will cause stalks of corn to sprout from the ground. Each successful find gets you closer to unlocking the next diorama. Considering how intricate each level is, though, you might want to play this on a tablet instead of your phone. In Ridiculous Fishing, picking the right firearm is just as important as dropping your line in the right place. Simply cast out, tilt your device left and right to avoid hitting fish as you plumb the briny depths, and try to hook as many as possible on the frantic return trip to the surface. Then things get ridiculous and you have to shoot your catch as it flies into the air. Different species occupy different locations, and when you've had enough of the main event, you can upgrade your gear (dual Uzis!). Or you could always check out what people are saying about your angling skills on the game's hilarious version of Twitter, called Byrdr. Developer Square Enix Montreal started life as a AAA studio, and it shows. 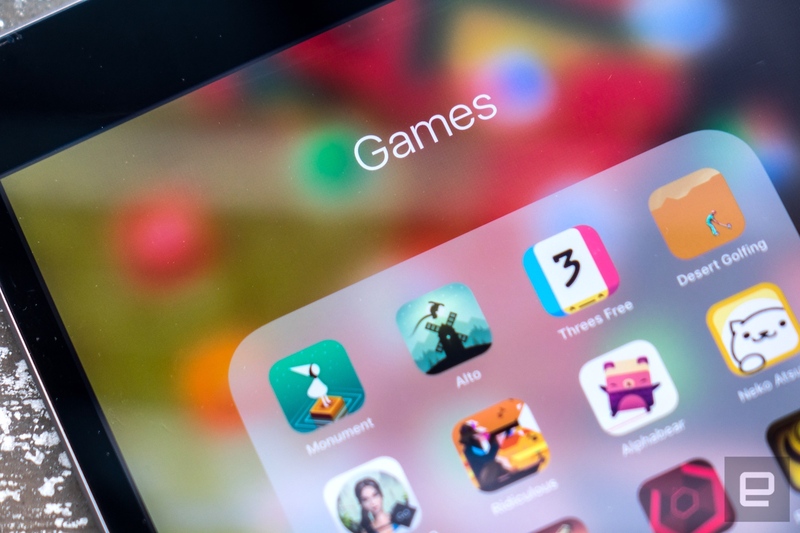 The team's mobile games take familiar franchises and translate them into killer games that feel appropriate for the platform rather than shoehorned to work on mobile devices. 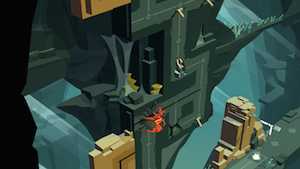 Lara Croft Go is the studio's best work to date. Whereas its predecessor Hitman Go had a steep learning curve, the Tomb Raider spin-off nails the sweet spot in terms of difficulty. Each painterly 2D level offers fresh challenges, and figuring out the game's myriad puzzles never feels like you need a degree in advanced logic. 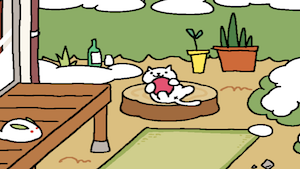 Neko Atsume offers a different type of escapism than most video games. Here, you can be the crazy cat lady or dude you always wanted to be -- without allergies, an aversion to litter boxes or a feline-unfriendly living situation getting in the way. Simply drop treats and toys in your ever-expanding virtual garden and watch as Joe DiMeowgio, Hermeowne and their furry friends come out to play. Yep, you can even take photos of them to share online, where hopefully no one will judge you (much). While everything else on this list is fun, none of the games have aspirations beyond being a distraction. That's what makes 1979 Revolution: Black Friday so important. You play as a photojournalist in late '70s Iran, documenting the unrest and political upheaval that took place. 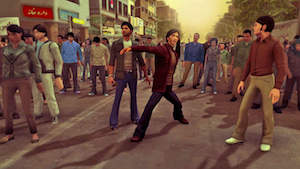 Iran-born Rockstar Games alum Navid Khonsari interviewed more than 50 scholars and historians and took thousands of photos to ensure accuracy, and he even interspersed home videos into the game as a means of storytelling. Roughly 21 holes into Desert Golfing, it hits you: It doesn't matter how well you're doing. There aren't celebrations for getting a hole in one, nor is there a darker narrative hidden below its simple 2D surface. Tapping the screen to get your golf ball into the hole on the other side of a dune is where the game's mechanics start and stop. Sure, you have to contend with the ball's physics, but other than that, it's just you against the sand. But the simplicity is what makes Desert Golfing so appealing; it almost feels like a relic of the MS-DOS era, not a three-year-old mobile game. Regardless of medium, the best puzzle games are simple to pick up and difficult to master -- things like Othello or sudoku. 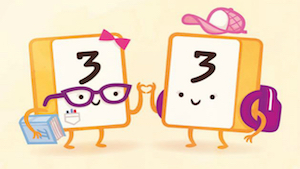 In that sense, Threes! is no different. Here, you arrange numbered tiles on a 4x4 grid into multiples of, you guessed it, three. Apple awarded it game of the year in 2014, the game was ported to Xbox One and there's even a free browser-based version. Oh, and to keep the flames of your high-score chase stoked, you can always check out the ThreesPorn account on Twitter. With Monument Valley and its sequel, it turns out that you actually can fit an M.C. Escher painting into your pocket -- or at least something incredibly close to the surrealist's perception-challenging works. 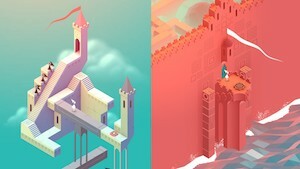 On your path to each puzzle's end, you'll spin platforms to connect otherwise disparate sections; navigate around path-blocking, anthropomorphic crows; and scratch your head more than a few times. Throughout, playing feels less like competing in mental olympics and more akin to a leisurely stroll. That's thanks to calming reactive music and a gorgeous pastel color palette. 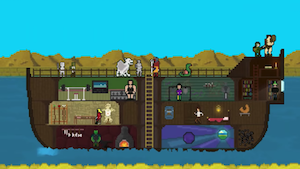 You Must Build a Boat gives away its entire premise in the title. You start with a dinghy, and by the time you're finished you have a ship that rivals the Niña, Pinta and Santa Maria pretty handily. Gorgeous pixel art and a chip-tune soundtrack make it even easier to lose track of how long you've been playing. Everything you do in the game facilitates upgrading your watercraft, and watching as your boat grows ever larger with each upgrade is almost as addictive as the game's match-three puzzle system for fighting monsters. It's the type of thing that makes trawling through dungeons so fulfilling. 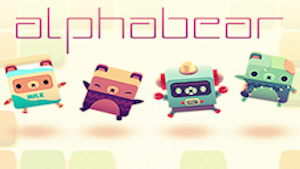 The easiest way to describe Alphabear might be "words with bears." You form words with letters on a grid, and for each word, you create a bear. Each bear is worth a fixed number of points; the longer the word is, the bigger the bear. As the bear grows, it unlocks surrounding tiles, which you can use to build more bears. And so the cycle repeats. The whimsical art and stylized bears help entice repeat plays, but maybe it's the adorable carnivores' foul mouths that keep us coming back for more. One of the most impressive aspects of Minecraft on mobile is that it's pretty much full-fat Minecraft on a device that fits in your pocket. You don't need a gamepad to play, nor do you need a keyboard and mouse. And thanks to the recent Better Together update, you can even play in realms created on PC and consoles on your mobile device. More than that, you can join up with friends for co-op exploration and building. 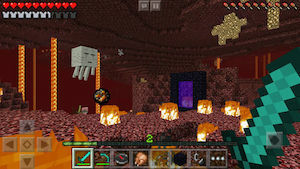 Yeah, it's come a long way since the original Pocket Edition.